What is more wonderful than a bit of make-believe and magic at Christmas time! And so I couldn't help but paint a Jackalope, which is just a beautiful and magical creature. I am painting three original Christmas ornaments and calling the set Visions of Sugar Plums. This second one I am offering is a woodland Jackalope, a mythical creature, painted in Scandinavian color palette, acrylic and gouache on a glass globe. Each ornament comes ready to hang from your special tree with a gold ribbon, and arrives with it's own cardboard box for storing and display. Each ornament is hand-painted by me, Gretchen Ellen Powers, and is completely unique and one of a kind. I am asking only $100 a piece for them + S & H. Available for a limited time only in my shop. These would be the perfect decoration to help you trim your tree, and deck your merry halls! 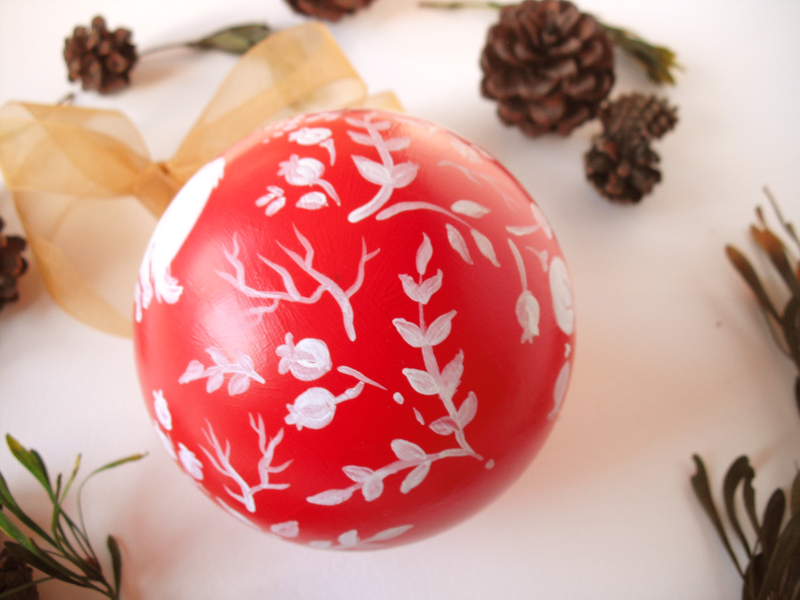 I am painting three original Christmas ornaments and calling the set Visions of Sugar Plums. This first one I am offering is a woodland fox painted in Scandinavian color palette, acrylic and gouache on a glass globe. Each ornament comes ready to hang from your special tree with a gold ribbon, and arrives with it's own cardboard box for storing and display. Each ornament is hand-painted by me, Gretchen Ellen Powers, and is completely unique and one of a kind. I am asking only $100 a piece for them + S & H. Available for a limited time only in my shop. Happy Holidays and jolly thoughts my little rabbits!